The Sigvaris brand of Women's Compression Stockings provide a uniquely fashionable look for a medical compression sock, all while delivering precision relief from leg pain and other venous condition symptoms. These Women's Thigh High 30-40mmHg Compression Socks feature consistent sheerness and a chic French lace design on the thigh band that make them well-suited for casual wear, professional attire or even a night out with friends. 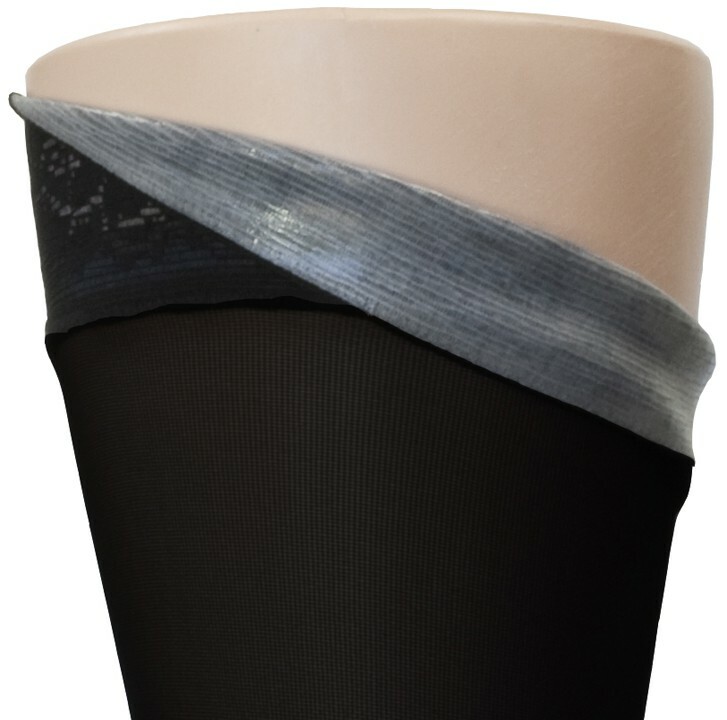 Sigvaris" Soft Opaque 840 Compression Hose Series for women are constructed with a special two-way stretch fabric, double-covered inlay yarns and reinforced heels that make them lavishly comfortable and extra long-lasting. Their special Sensinnov grip-top band also ensures that they stay in place during high activity, all day long.